We’re willing to bet a new heating and cooling system isn’t high on your wish list, especially if the need for one arose from an emergency repair. The cost of purchasing a new system can be intimidating for everyone. The good news is that there are plenty of options to help you save on your investment. Through promotions and rebates from various sources, you can relieve some of the pressure these costs can cause. 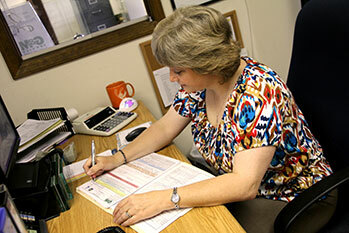 G&M Service aims to provide our customers with an excellent customer service experience. This includes helping you find available rebates through Duke Energy Progress and Carrier. Here are just a few ways you can save on your heating and cooling investment. We love to help our customers save money; it’s why we offer only the highest-quality, energy-efficient products. It’s also why we offer various promotions throughout the year. We understand the strain that the cost of new heating and cooling equipment can pose and want to help you manage those costs. Through our promotions, you can save on almost anything, from service calls to preventative maintenance agreements. Several rebates are offered for making your home more energy efficient in partnership with Duke Energy Progress. With these programs, you are not just rewarded for installing approved energy-efficient equipment through savings on your utility bill each month. These rebates offer money back to customers to help offset the cost of installing new equipment or improving your current system. Carrier and many other brands offer rebates when you purchase one of their new products. These rebates can help offset the cost to install new equipment. 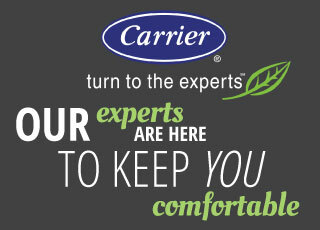 Plus, Carrier often runs special seasonal promotions to help you save even more on your heating and cooling needs. At G&M Service, we want to make sure our customers get the most out of their investments. Contact us to learn more about our current promotions and how you can qualify for utility and factory rebates.